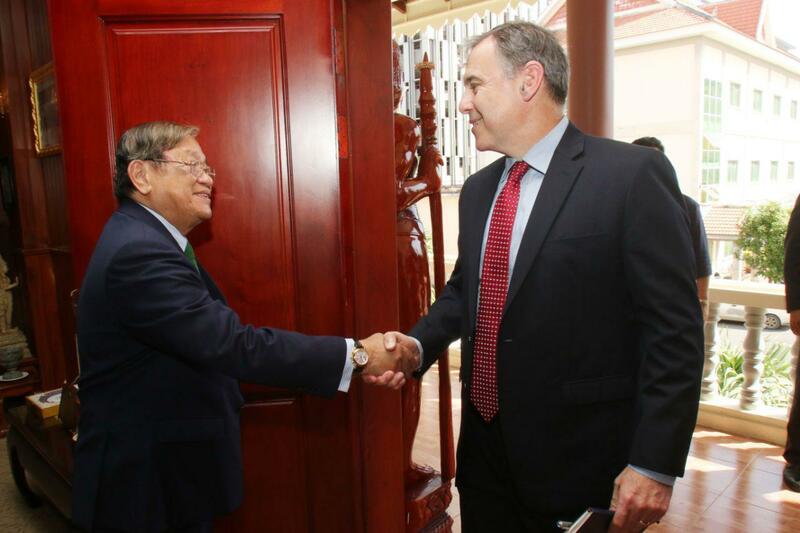 Phnom Penh (FN), Nov. 6 - Cambodia has never banned Voice of America (VOA) and Radio Free Asia (RFA)’s broadcasts, and that Cambodian people are still able to listen to these two radio broadcasts as usual, Minister of Information Khieu Kanharith told outgoing U.S Ambassador to Cambodia William A. Heidt in a farewell meeting on Tuesday at the ministry. 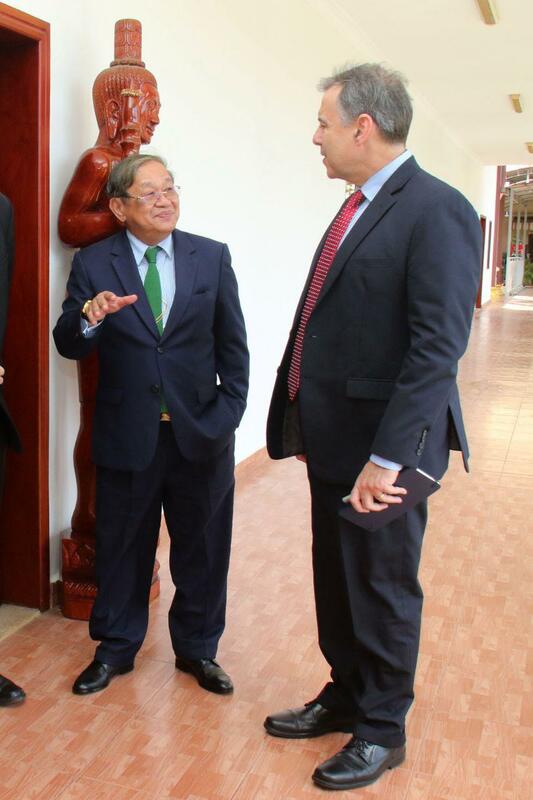 He added that Cambodia wanted VOA and RFA to setup their offices in Cambodia for effective communications and to promote freedom of press in Cambodia. Minister Kanharith said that VOA and RFA radio have not been broadcasted on FM radio lately, as some local radio stations violated media law. 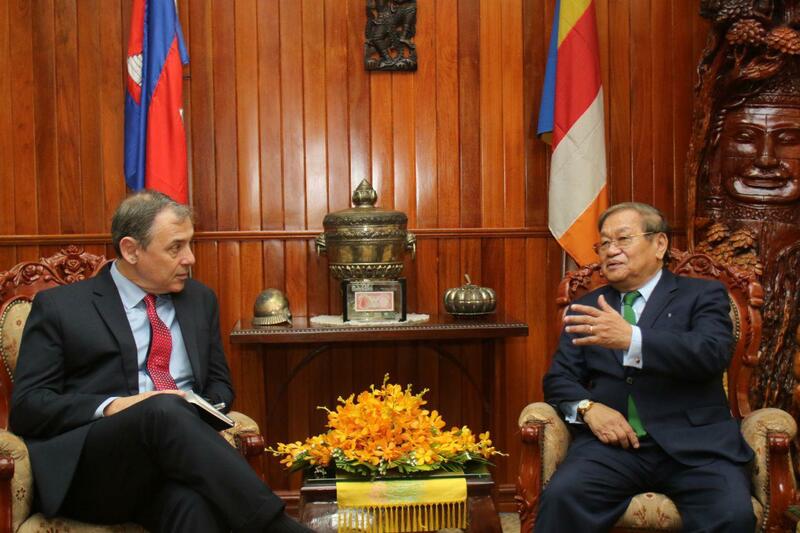 Ambassador Heidt is optimistic that when all the issues are resolved successfully, the two radios will re-launch their broadcasts through FM in order to promote freedom of press in Cambodia. 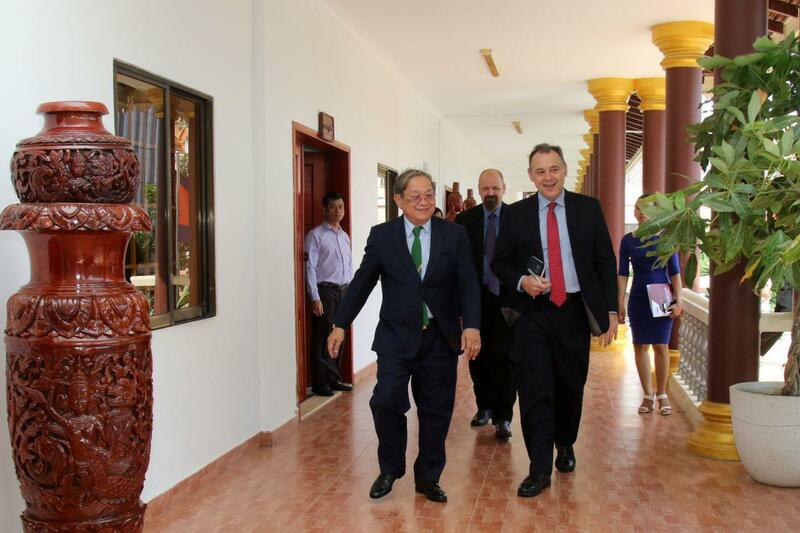 Ambassador also expressed his satisfaction during his mission to Cambodia and believed that the friendship between Cambodia and the United States will grow stronger.